We are fully committed to the establishment of quality standards for CCMG products through our cooperation with the China’s Food & Drug Administration (CFDA) “國家食品藥品監督管理總局”, the Committee for the Chinese Pharmacopoeia (國家藥典委員會) and major universities in Hong Kong, the PRC and overseas countries. We are the only CFDA-licensed CCMG product manufacturer who has received United States Pharmacopeia (USP) verification of its CCMG products according to the U.S. Pharmacopeial Convention. We currently collaborate with the USP in the standardization of CCMG products. The USP had verified and recognized our quality standards for concentrated granules of Radix Astragali (黃芪) and Fructus Crataegi (山楂) in 2014, and we have also published our own research results as the recognized quality standards for our Radix Astragali (黃芪) concentrated granules. In addition, we are presently collaborating with the University of Graz in Austria to compile quality standards for CCMG products, to be applied in pharmacy stores in Europe. We are also committed to the establishment of quality industry standards for CCMG products through our co-operation with local and national governments, leading international universities, TCM industry associations and other CCMG product manufacturers licensed by the CFDA. In-licensing of potential drug candidates from other research institutes. PuraPharm in-licenses projects from third parties research institutes that have already proven scientific basis and high probabilities of commercial application. We are devoted to the study of the correlation between Chinese medicines (including raw Chinese herbs, traditional Chinese herbal medicines (中藥飲片), Chinese medicinal decoctions and CCMG single and combo formulae products) and their respective intended treatments. PuraPharm also works with external research institutes to in-license potential drug candidates to expand our product portfolio. 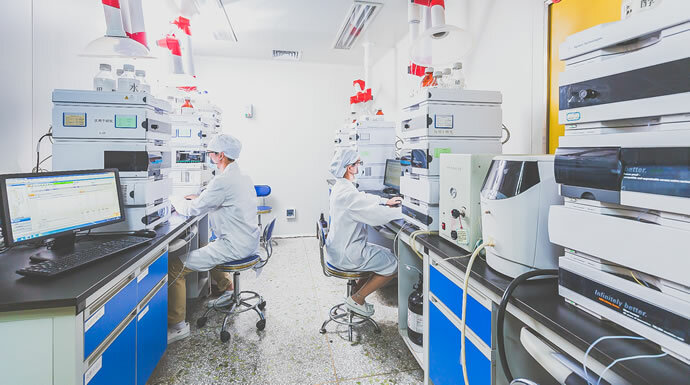 We focus our resources on the later stage of product development and commercialization once the potential of an active ingredient has been identified. Examples include our development of Oncozac® (安固生®), where the basic science research was licensed from the Chinese University of Hong Kong, and PuraPharm undertook the formulation and production of the final end-product. We also categorize and select drug candidates which could potentially have curative effects on intended treatments, and our in-house scientists will further screen the potential drug candidates for their efficacy. 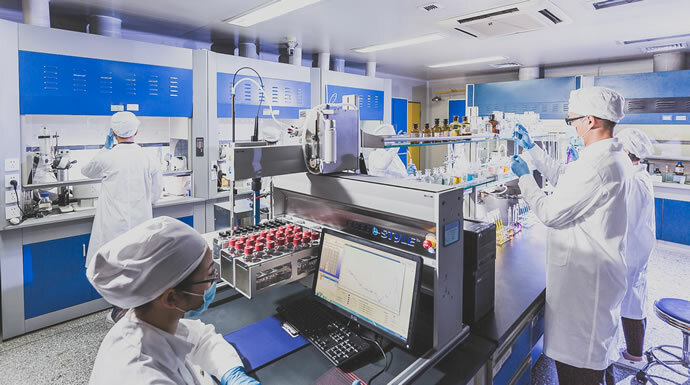 Based on our accumulated knowledge in Chinese medicines and our research capability, we are able to evaluate promising drug candidates from external research institutes while minimizing the costly research and development infrastructure during the initial stage. We are using such model particularly in the development of new Chinese medicine products in the pipeline relating to the treatment of gastrointestinal, cardiovascular and immune diseases. We jointly developed the product with the School of Pharmacy of the Chinese University of Hong Kong in 2002. The Chinese University of Hong Kong has obtained a patent registration in respect of the unique extraction method of ONCO-Z® in the United States, the United Kingdom and the PRC. Pursuant to a license agreement with the Chinese University of Hong Kong, PuraPharm has the exclusive right to use the relevant patents. 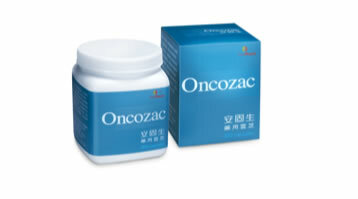 In addition, ONCO-Z® coriolus versicolor extract, the sole active ingredient of Oncozac® (安固生®), was verified by USP as dietary supplement ingredient and became the world’s first TCM ingredient verified by the USP. We jointly developed the product with the Institute for Advancement of Chinese Medicine of the Hong Kong Baptist University in 2000. We have further employed the proprietary DNA fingerprinting technology developed by the Hong Kong Baptist University to standardize the authenticity and quality of wild Lingzhi (靈芝). We are currently conducting a clinical trial to assess the curative efficacy of PuraGold® (金靈芝®) on patients who are in an early stage of Parkinson’s disease. Building on our strong research and development capability, we have developed a strong pipeline of Chinese medicines for future development. With the joint collaboration with the Hong Kong Baptist University and the Chinese University of Hong Kong, PuraPharm has obtained clinical trial approval from the China’s Food & Drug Administration (CFDA) for Ren Shu Chang Le Granules (仁朮腸樂顆粒) for the treatment of irritable bowel syndrome (腸易激綜合症), and Puerarin Phospholipids Complex Capsules (葛根素磷脂複合物膠囊) for the treatment of cardiovascular disorders, in collaboration with the Hong Kong Polytechnic University. The research project on Puerarin Phospholipids Complex Capsules for the treatment of cardiovascular diseases, is an oral formulation of an existing injectable on the market. Our new formulation is designed to enhance a patient’s compliance and reduce the side effects of existing injectables on the market.